BARKISLAND CC have signed a Sri Lankan who scored a half-century against England in October as they prepare to make their return to the Huddersfield League’s top flight. Ashan Priyanjan, who has played 23 one-day internationals for his country, will be the club’s overseas player for 2019. His signing was announced by long-serving skipper Darren Robinson, whose side won the Championship title last season after being relegated from the Premiership the year before. Priyanjan played against Joe Root’s tourists in Colombo in a warm-up match ahead of the Test series. He scored 50 for a Sri Lanka Board XI before retiring. While primarily a batsman, he also bowls off-spin which will be useful for Barkisland as they have lost long-serving slow bowler Matthew Steers to Halifax League club Warley. Priyanjan has experience of English conditions, having captained Sri Lanka A in a tri-series tournament against the England Lions and Pakistan A in 2016. He also had a short spell with Morecambe in the Northern Premier League in 2017, hitting a century and getting among the wickets before being called home for international duty. His best one day international effort with the bat came when he hit 74 on debut against Pakistan in 2013, one of two international half centuries. Robinson is hoping Priyanjan will be a quality addition, adding: “He should be here for the first game all being well. Barkisland finished three points clear of Almondbury Wesleyans last season and Robinson envisages starting 2019 with a very similar side. 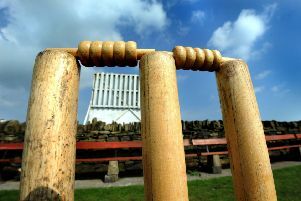 “We are still looking for an opening bowler; we never really replaced Alex Scholefield when we went down,” said Robinson. Barkisland’s seconds are also in the top flight and Robinson said it would be a young side with a few of the older heads either retiring or playing less.